A special edition CD & DVD presentation, commemorating the anniversary of The Battle of Britain. 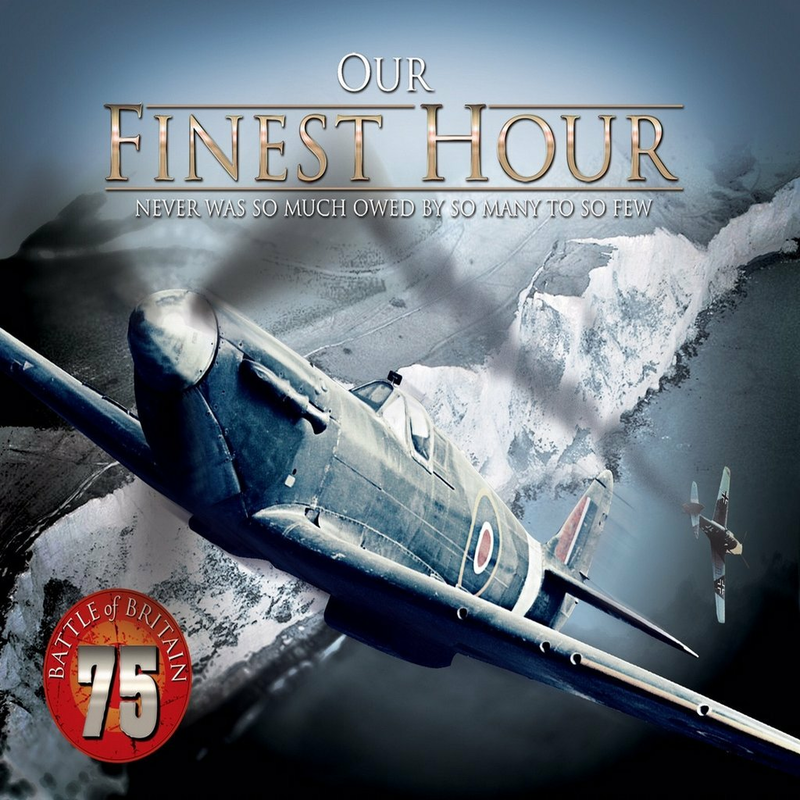 A special edition CD & DVD presentation, commemorating the anniversary of The Battle of Britain. Relive the sounds of a nation at war 75 years on from an epic moment in our history. In the summer of 1940, Britain stood alone against the Nazi menace, threatened by invasion yet galvanised anew by the bulldog spirit of Winston Churchill. The events of those few months - the miraculous evacuation of our army from the beaches of Dunkirk, the courage of ‘the few’ as the RAF took on the Luftwaffe in the skies above southern England, the beginning of Hitler’s aerial blitz on our cities - not only saved our islands but changed the whole course of the Second World War. Now, 75 years later, we recall those epic times through the newsreels, broadcasts and music of 1940 and beyond - from the sounds of Spitfires and sirens to Churchill himself in full rhetorical flow, from Vera Lynn assuring us that We’ll Meet Again to the chin-up comedy songs of Tommy Handley, Florence Desmond, Max Miller and more. Hear reports of the raging fires around St Paul’s as the bombers struck, listen spellbound to a live commentary of a dogfight over the Channel, and be moved by Princess Elizabeth’s message to the children of the empire - all in a unique audio presentation that offers an amazing window on life in Britain during one of history’s great turning points. Cherry picking from the finest archive material available, 'Our Finest Hour' will fascinate and inspire in equal measure. Plus, bonus DVD: 'The Story of the Spitfire'. A 60-minute colour documentary featuring recollections from members of 'The Few'.